Three years ago, we celebrated Oktoberfest in Munich. We ate Hendel (chicken) and Schweinehaxe (pork knuckle). We drank multiple liters of beer. And we may have danced on the tabletops to traditional oompah bands. 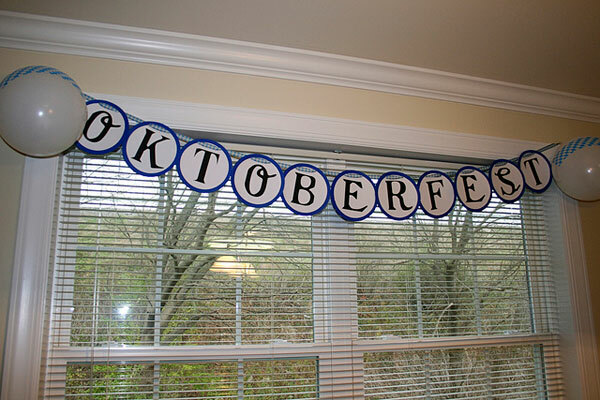 The following year, we hosted Oktoberfest in our tiny townhouse. I hand rolled 60 mini pretzels, prepared two types of potato salad, and baked two dozen German chocolate cupcakes and four dozen Black Forest cherry cookies. Nick made five pounds of schnitzel, three varieties of wursts, and a pot of Goulasch. Last year … well, we were a little busy. This year, though, we were back at it. 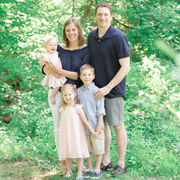 We celebrated Nick’s 30th birthday at the Hofbrauhaus in Pittsburgh. And we invited friends to our haus for a little Bavarian feast. We had Weinerschnitzel, Spätlze, Rotkohl, and Apfelstrudle with Eis. And we could hardly handle the cuteness of our little mister’s authentic Lederhosen sent straight from Germany by his aunt and uncle. He loves German cuisine almost as much as his daddy! omg he cannot get any cuter. Well, that is one of the cutest things I’ve ever seen. Holy cuteness!!! I’ve dreamed of going to Munich for the craziness. 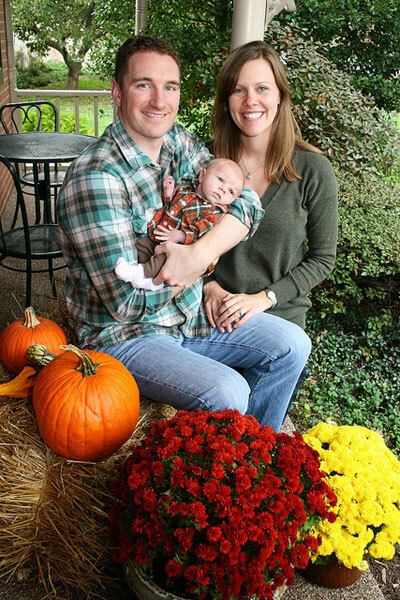 What fun traditions you guys have. How stinking cute is he?! Love it! It doesn’t get any cuter than that. 🙂 We miss Wiley Oktoberfest!!!!! 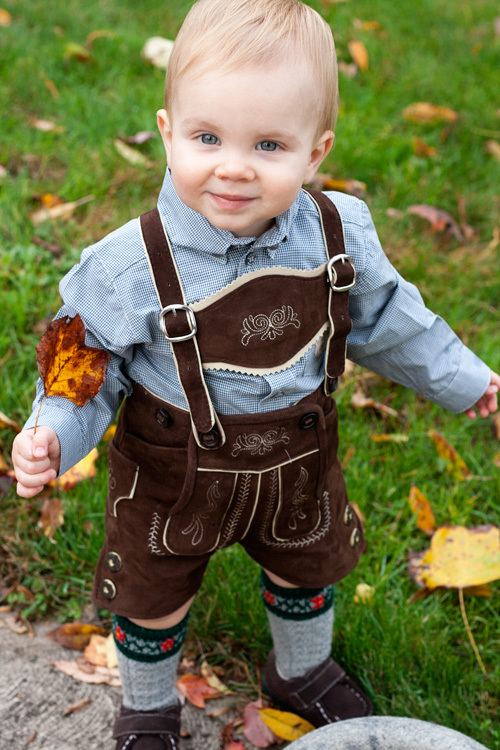 Oh my goodness, I can’t even HANDLE the cuteness of Sam in Lederhosen! AH! We really enjoyed being a part of your Oktoberfest 2 years ago! Glad to see the tradition continues. Oh my, I love it… And the memories of our time together in Munich are really good ones that I always tell when people ask about Oktoberfest. And Sam, wow! 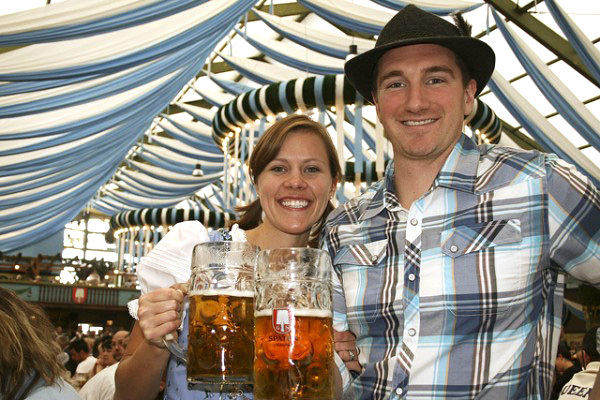 Hopefully, one day we’ll all celebrate another Oktoberfest together – either over here or in your house! 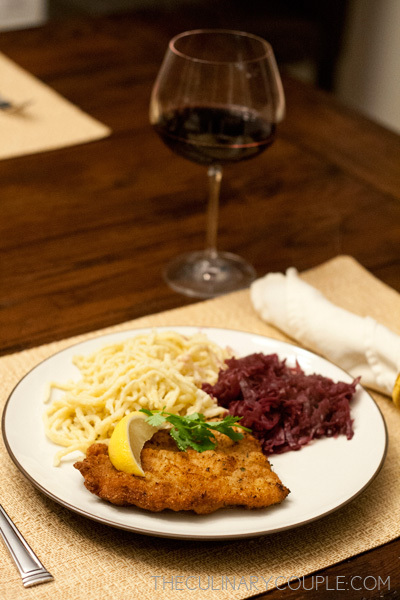 I would so love to help you prepare some German favourites some day! 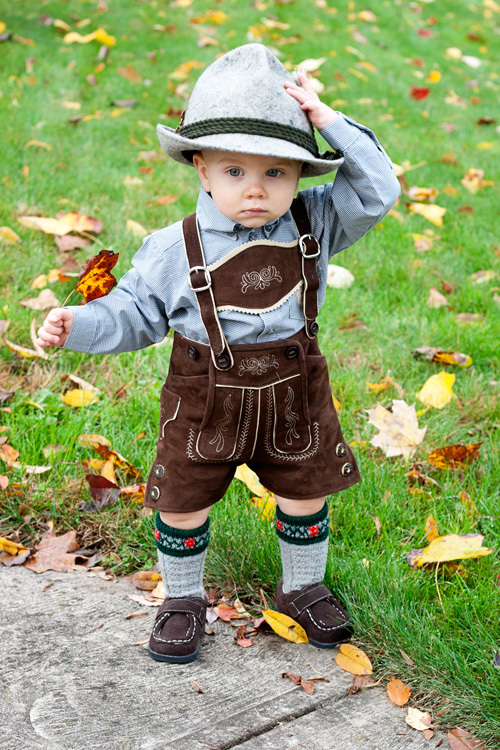 If I may ask, where did you buy the lederhosen for your little boy? I would like to buy one for my son!